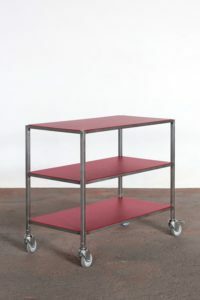 Professional clearing and shelf trolleys are made of high quality stainless steel. Thanks to the welded design, the trolleys are strong and have a high load-bearing capacity Each trolley passes through an output control to ensure its quality. Customers can choose from a design with two or three shelves. Our offer includes also cleaning carts with or without a handle. Both cleaning trolleys and stack trolleys are equipped with wheels with a diameter of 125 mm with or without brakes, and thanks to the single-screw connection, the wheels easily replaceable. There are 360° swivel wheels resistant to mechanical damage. 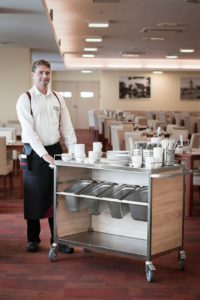 Due to their features and the precise manufacturing, our stainless steel trolleys offer a long service life and are ideal for everyday use in hotels, accommodation facilities and other professional establishments. Is your question more comprehensive or more general? Send us an email at info@itb-ep.cz and we will propose the most suitable solution after its processing.